Nurses are chosen by the American public year after year in the Gallup Poll as the most trusted professionals in the country, and for very good reason. The nursing profession is the very connective tissue of the healthcare industry, and we literally hold our patients’ lives in our hands at their most vulnerable moments. What’s not to trust about a skilled and compassionate nurse doing what he or she is seemingly born to do? So, as we celebrate Nurses Week, we can and must recognize that nurses’ voices and opinions are highly trusted. Thus, we nurses can choose to leverage our voices for the good of the whole in a plethora of powerful ways. When we become nurses, it seems that our neighbors, hairdressers, and family members are compelled to ask us to examine new moles, palpate enlarged lymph nodes, or give advice on everything from childbirth to extracting porcupine quills from regretful dogs. As nurses, we become counselors, teachers, priests and rabbis, plumbers, and veterinarians for members of our family and tribe. They apparently figure that, since we’re nurses, we must know something about everything – and we usually do. We may find ourselves at the bedside of a dying loved one or friend, with everyone looking to us for guidance and comfort. We might hold the hand of a child crying over a dead bird, and then treat the skinned knee of that same child the following day. In the role of nurse, we can dispense kitchen table wisdom, clinical observations, or even the secrets of hamster childbirth. As we do this, we have an outsized impact on the “micro” aspects of our lives and the lives of others. That child with the skinned knee? She may remember your kindness when she’s 26 and deciding what to do with her life. Your ministrations could lead her to a career as a nurse, or perhaps to simply feel predisposed to be nice to the nurses she encounters. The neighbor who you comforted when their father was on hospice? Your words may have sunk deep, imparting a sense of peace that your neighbor had otherwise found elusive. Even the smallest act on the part of a nurse can have a ripple effect impacting countless lives over expanses of time. Nurses’ impact on the macrocosm of their world is no less meaningful than their impact in the smaller and quieter moments. At this time in history, a number of nurses serve in the United States Congress. How many will serve in the future? How many nurses will run for mayor, city council, or school board in their communities? 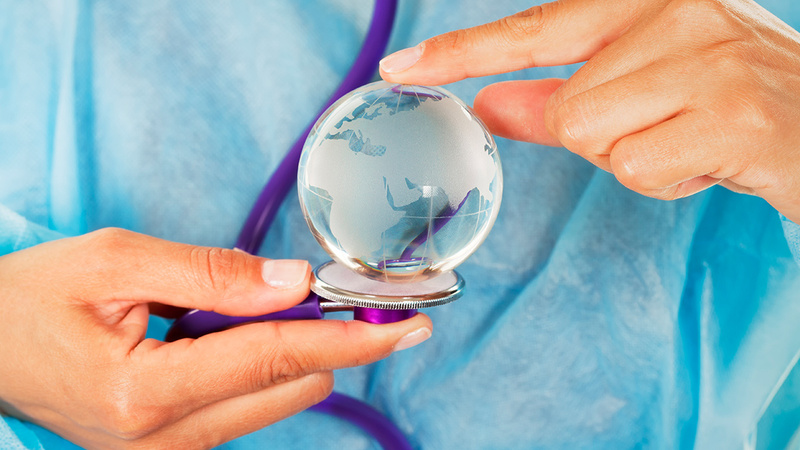 There are many ways to impact the larger world, and nurses can choose to do so. Every year, nurses volunteer for countless relief organizations, mission trips, and humanitarian endeavors. Nurses volunteer for respected non-profit organizations at every level. They also show up in large numbers in response to hurricanes, war, earthquakes, floods, and refugee crises around the globe. The macro aspect of the world is consistently and compassionately held in the competent and loving hands of nurses. Other ways that nurses have an impact on the world around them is through letters to the editor; meetings with local or national political and legislative leaders about salient issues; commenting in public forums and meetings; and otherwise using their voice to express important professional and personal opinions. Nurses can communicate through their own blogs, podcasts, websites, and social media feeds. The online world is the earnest nurse’s digital megaphone, and many nurses choose to share their thoughts, opinions, rants, and raves on numerous Internet-based channels. Nurses are ubiquitous for a reason – they are essential to the proper functioning of most every society. There is no better time than Nurses Week to celebrate the power, variety, and profundity of nurses’ voices. From the homeless shelter and the soup kitchen to the ICU and the university health center, nurses care for the sick and needy. And in countless other situations, nurses can be found making an impact, changing lives, and doing good work where it’s needed. Happy Nurses Week. Celebrate nurses – they deserve it.